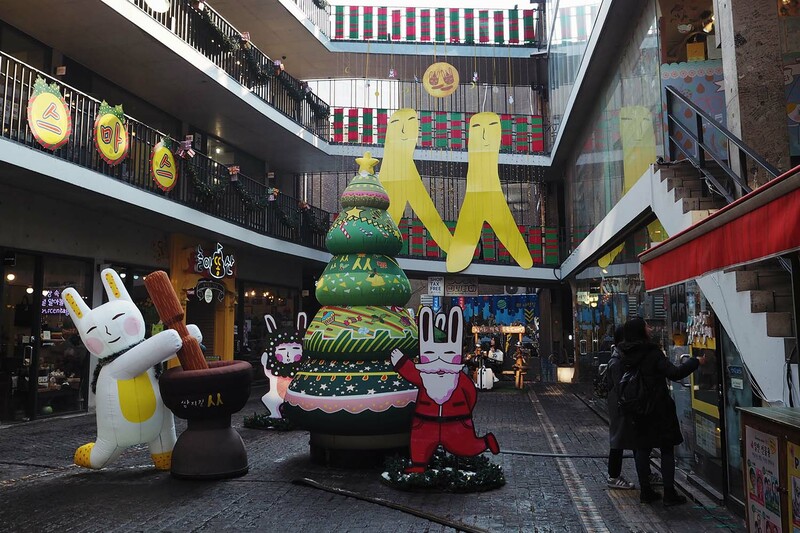 In a city so modern like Seoul, it’s a nice change to have some elements of tradition blended in – almost like organised chaos. As you explore the streets of the city, you will encounter modern architecture in one corner and old sartorial buildings in the next. Keeps you on your toes all time! Insa-dong (인사동) is just that. 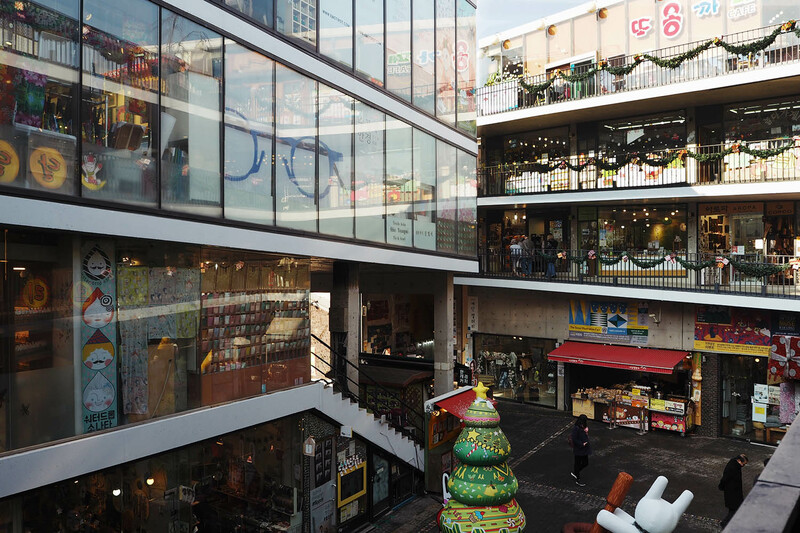 While it is rich in Korean tradition, Insa-dong is also home to the young artistic souls of the 21st century. 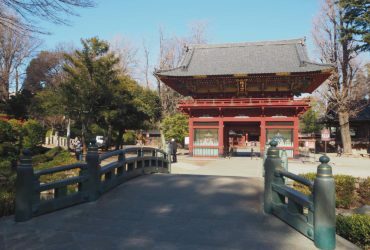 It is a place where tradition and modernity collide. A shopper’s paradise, it is home to some of the best souvenir shops and other artsy trinkets. 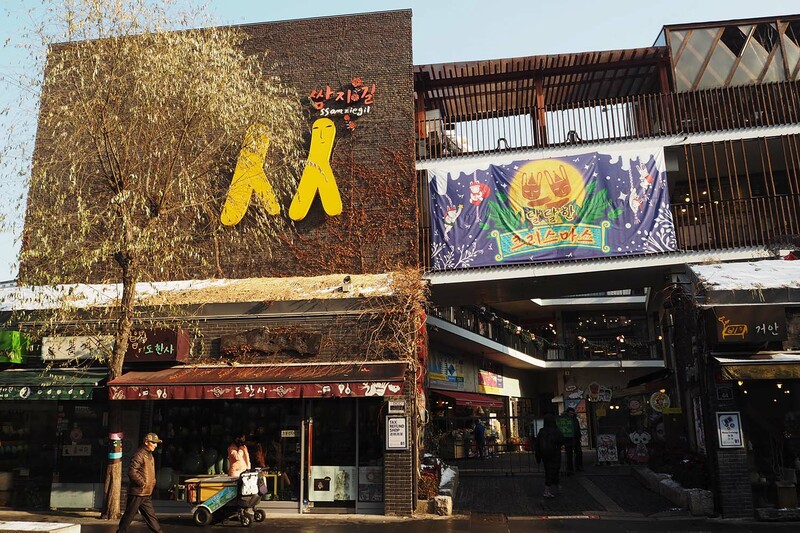 You can also get your hands on the best teas that Korea has to offer from shops like O’sulloc, homemade snacks by Korean grandmothers (할머니 간식) and be spoiled for choice with a wide array of traditional restaurants to choose from. 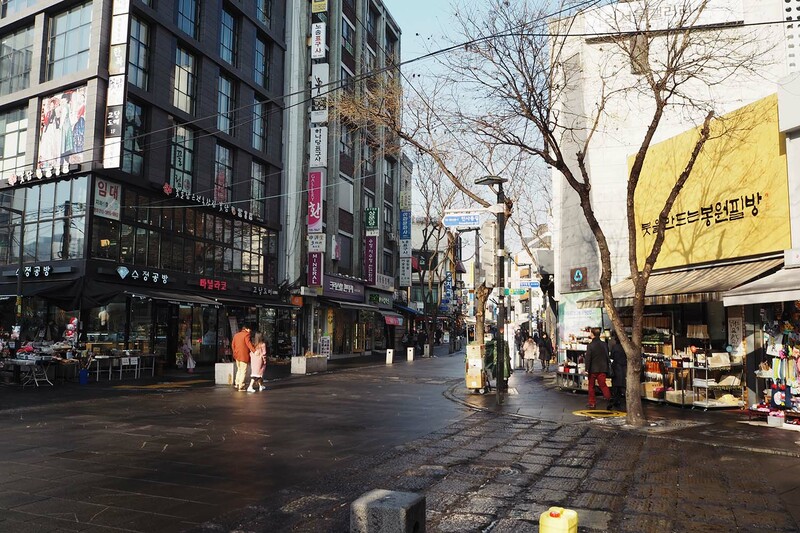 If you really want to submerge yourself in Korean culture, why not rent a hanbok (한복) from one of the many rental shops that line the streets of Insa-dong. 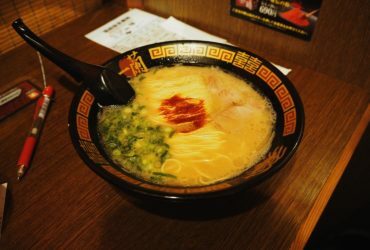 It’s a really unique and fun experience. 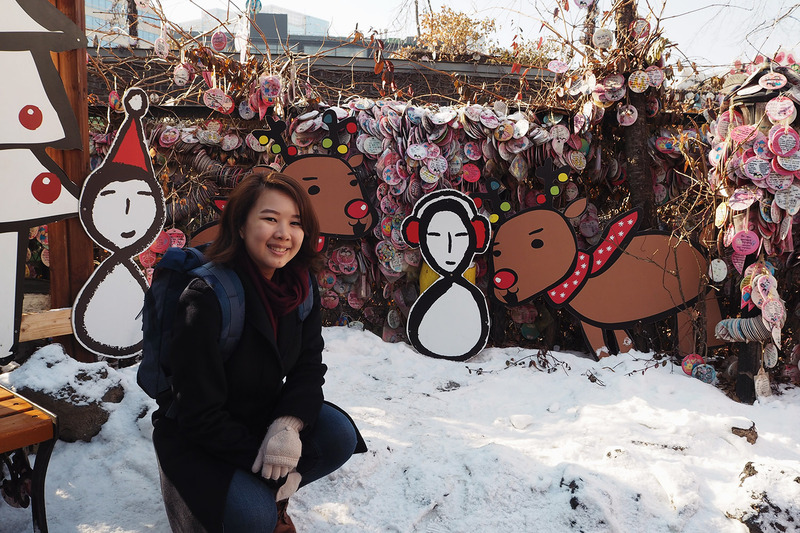 Some places allow you to wear the hanbok out on the streets for several hours while others have an array of setups for you to take pictures indoors. The prices will vary depending on what kind of hanbok you decide to rent (there’s really a lot to choose from) and if you require a full makeover, which can include hair and makeup. 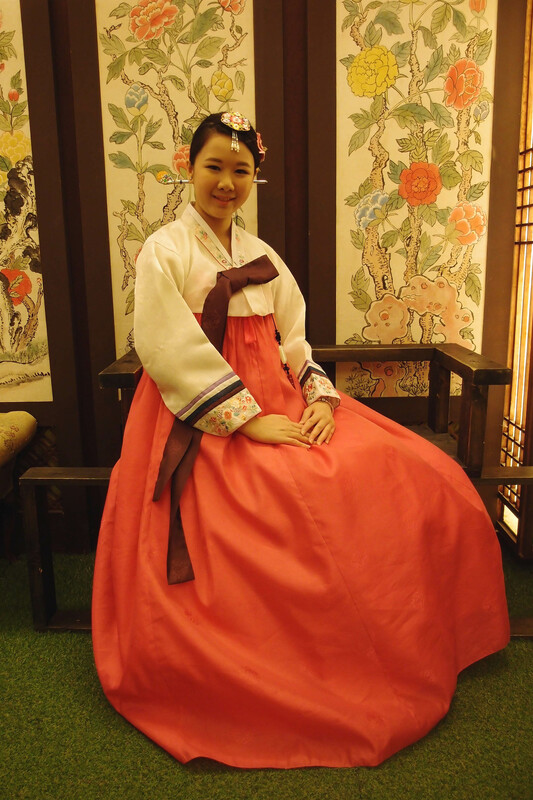 I didn’t rent a hanbok this time around since my brother was not interested but I did try it on during my first trip to Seoul in 2014. Some of the best 2 hours of my life! 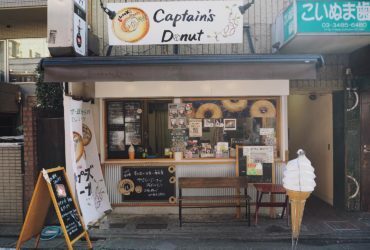 The place I went to in Insa-dong has apparently closed down. While doing my research, I found that they have a studio in Myeong-dong with the same name. 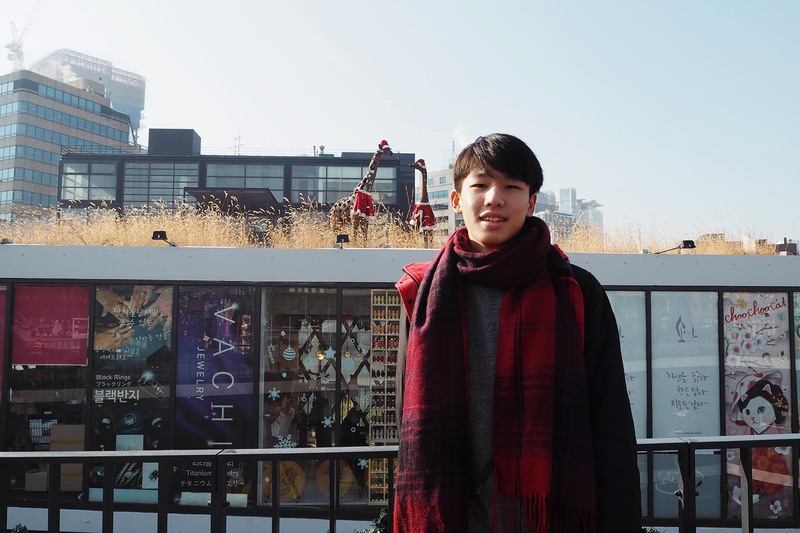 Sharing the address to the Myeong-dong branch below but there are so many other studios around Seoul. Just make sure that you find a place that is reasonably priced. Considering the rich traditional atmosphere of Insa-dong, it seems fitting to have the only Korean Starbucks in the whole country. 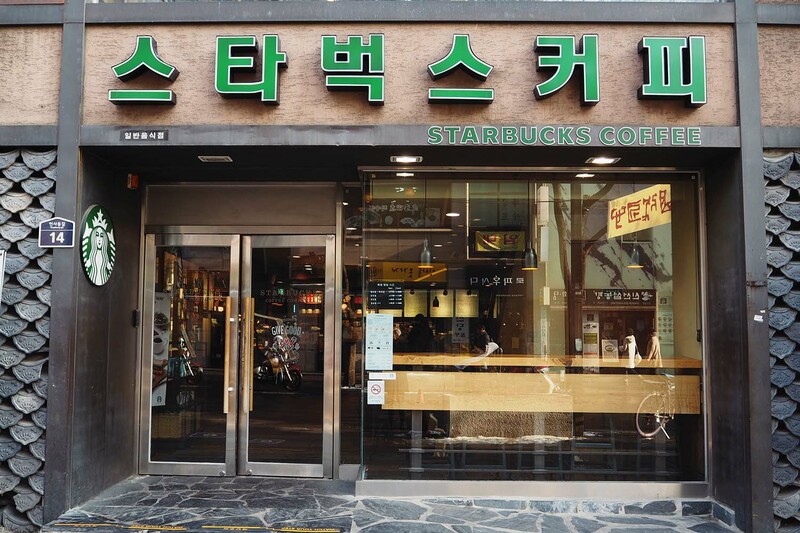 And by Korean Starbucks, I mean the words written in hangul but still maintaining its iconic green tint with a white outline. The drinks remain the same, safe for the seasonal specials unique to Korea. While I’m not an avid coffee drinker (caffeine gives me migraines), I am a sucker for Korean things. Every time I pop by Insa-dong, I will order a hot chocolate from this Starbucks. This time was no exception. 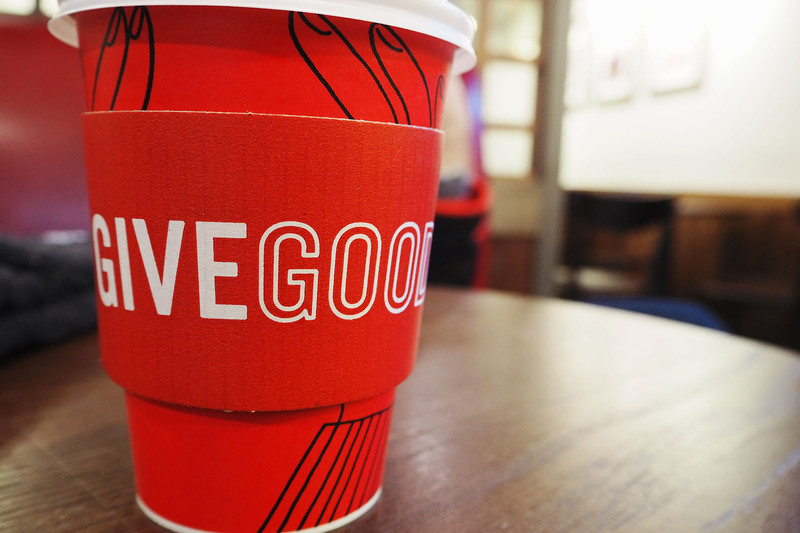 Starbucks’ hot chocolate is definitely not the best and contains way too much sugar but it was freezing outside and the only logical thing to do was to get something warm. Ssamziegil, also known as the centrepiece of Insa-dong, first opened its doors in 2004. 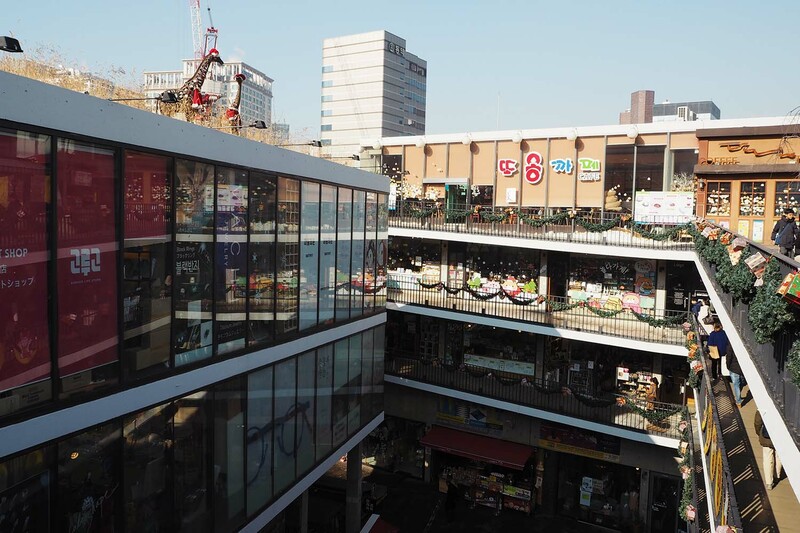 It’s a shopping and culture complex that attracts thousands of tourists and locals alike on a daily basis. The spiral architecture that even boasts a courtyard on the ground floor features cafés, galleries and workshops offering an array of modern and traditional goods. The four floors of shops and cafés that can be accessed through the footpath that wraps around the courtyard as you approach the open rooftop. Take your time to explore the many interesting goods on sale in Ssamziegil – from fashion to stationery to miscellaneous household items. They even had a store selling miniature cacti! While you might not want to actually buy anything, it’s always fun to explore. Gives you an idea of what the locals enjoy buying. Let’s be honest. The view is nothing to shout about because, well, what view can you really get from a building that only has four floors? You can, however, take pictures with the giraffes on the rooftop! Fine, I’m biased. It’s pretty much public knowledge now that I love giraffes. Seeing anything giraffe-related pretty much gets me excited these days. I am a child stuck in an adult body. There, I’ve accepted that fact. HAHA! 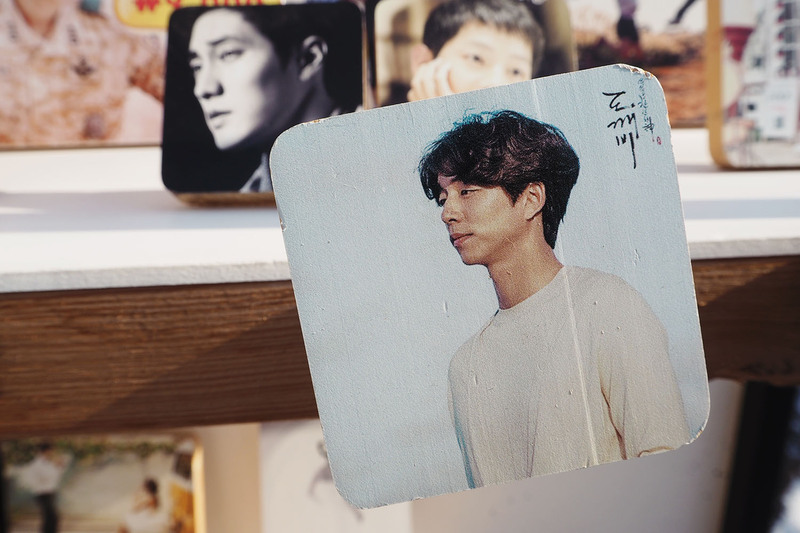 Fans of Korean dramas can also buy wooden blocks with their favourite celebrities printed on them. The tiny shop found inside the Sky Garden offers this service. If Korean celebrities are not your thing, you can also get your own photo printed on a wooden block. Not sure how much they charge and personally, I don’t care much for such novelty items but I would assume that they definitely don’t come cheap. There’s something for everyone in Ssamziegil – even couples. Seriously, Koreans take their declarations of love to another level. 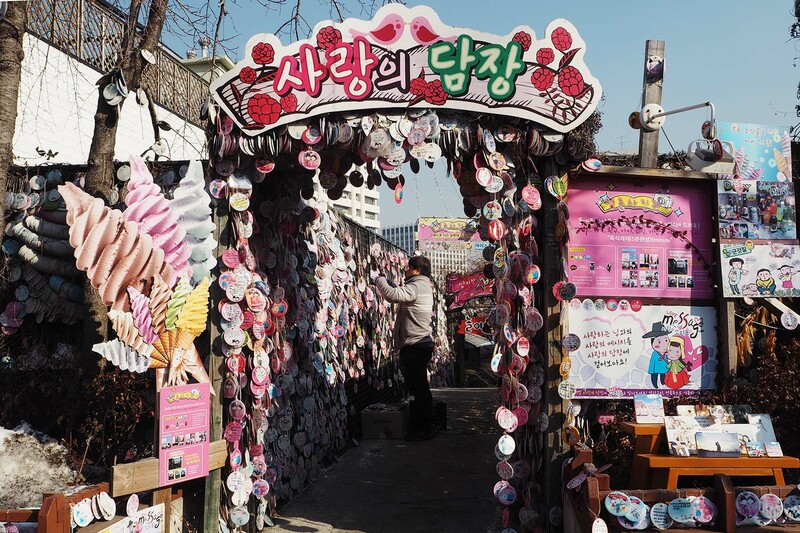 There are about a million places (I exaggerate) around Seoul for you to hang a love lock of some sort. 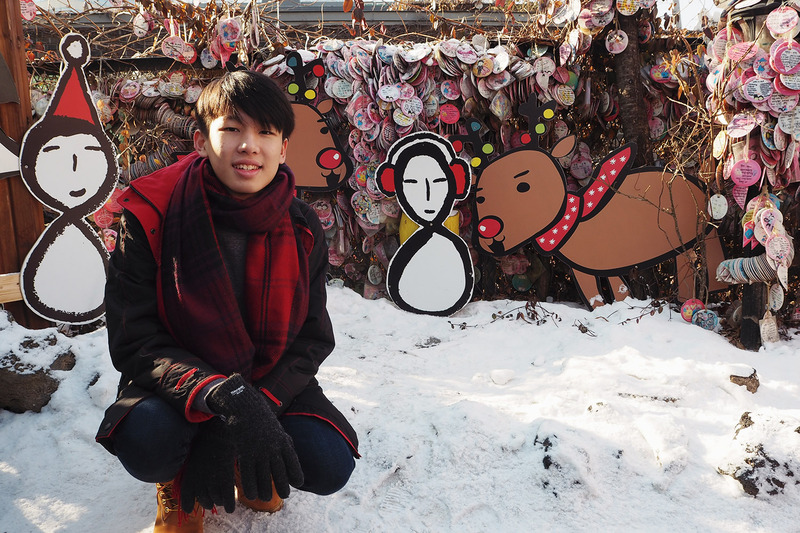 There’s the ones at N Seoul Tower. And then at Ssamziegil, you can buy luggage tags and hang them at the Sky Garden. Knock yourselves out silly by announcing to the world about your passionate love through love locks/luggage tags that nobody actually reads (lol). Sorry, a bit cynical about love sometimes but I promise you that I’m a hopeless romantic on the inside. HAHA! That said, I don’t know if I’ll go to the extent of buying love locks. Quite a waste of money since they periodically remove the old ones so that the structures don’t collapse. Even the walls can’t withstand that much love. It’s all too hot and sticky. HAHAHA! Okay, I’ll stop.